Our newly renovated facilities were designed to be the best social spot on the island for meeting fellow International travelers. 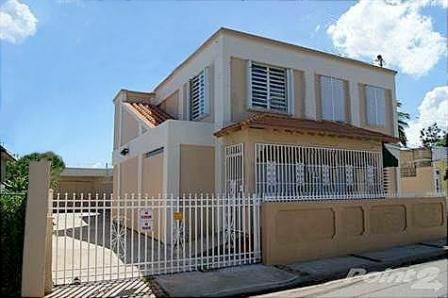 We are 100 meters from the Fajardo ferry and have brand new Memory foam beds A/C and much more! We are the closest hostel or budget place to stay to the Fajardo Bio Bay, Fajardo ferry or the Rain Forest! 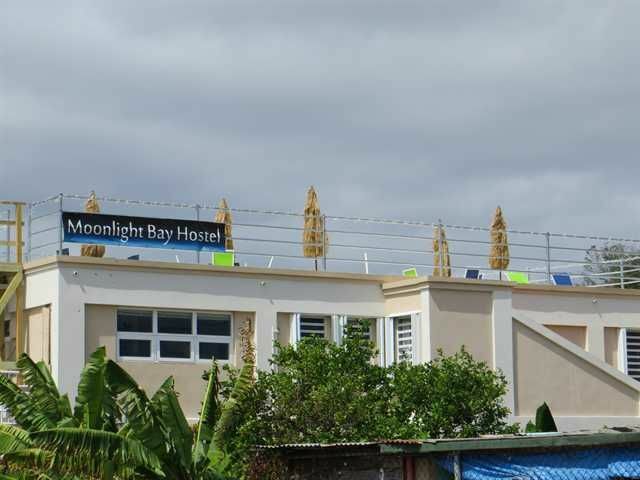 Your stay at Moonlight bay Hostel includes: -FREE sleep on: Brand new premium memory foam mattresses. -FREE air conditioned rooms. -FREE all you can eat Pancake breakfast daily. -FREE coffee & tea -FREE access to our Wi-Fi hotspot. -FREE daily courtesy housekeeping, including towels and linens provided free of charge. -FREE usage of our in room security lockers. 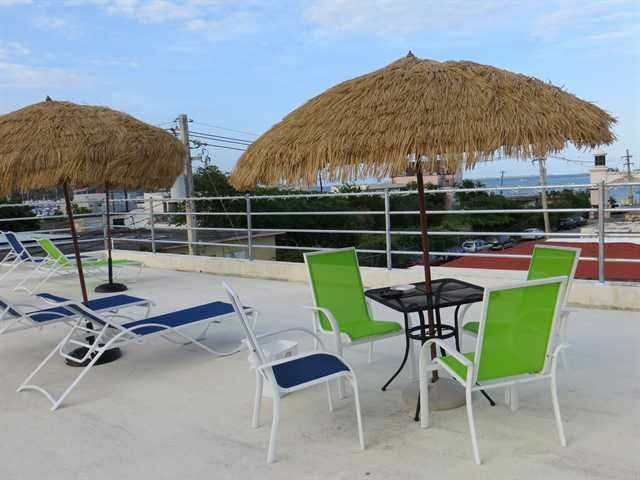 -FREE access to the largest Roof Top Terrace in Puerto Rico! -FREE phone calls to the USA and Puerto Rico! -FREE secure luggage storage. -FREE monthly Full Moon Parties! -FREE hot water showers. -FREE NetFlix Movies in Deluxe Queen Room! * -And for your convenience and protection, all rooms are keyed and our staff is on-site 24-hours a day. Located 60 yards from the Bay and a popular port cafe and Bar, Moonlight bay Hostel is a 2 minute walk to the Culebra & Vieques Island ferry! Our Superb location, giant roof top Terrace, brand new facilities and amazing prices make staying in a Fajardo hotel crazy! Our Amazing location also puts you closer to the Fajardo Bio Bay and El Yunque rainforest entrance than any other hostel in Puerto Rico!Hamburger, hot dogs and drinks available for purchase nightly! AGE RESTRICTION of 18 to 45 With 5-star amenities, amazing staff, prime location and the biggest outside hostel gathering area in Puerto Rico there is no better place to stay in Fajardo so come join us to keep the Puerto Rican Party going! We are located 100 meters or a 2 min walk from the Fajardo Ferry. . From Luis MuÃ±oz MarÃ­n International AirportCarolina:Head northwest Slight right toward Puente Teodoro Moscoso Continue straight onto Puente Teodoro Moscoso Take the ramp to Interstate PR3 Keep left at the fork to continue toward Interstate PR3 Keep left at the fork and merge onto Interstate PR3 Turn right to stay on Interstate PR3 Turn left onto Avenida Valero Turn left onto Calle UniÃ³n Slight right onto Cll CometaDestination will be on the right.